"A Survival Course for The Sandwich Generation. Carol Abaya learned the hard way what it's like to care for Elderly Parents. She wantsto make it easier for others." which is a FREE download. Welcome to the Sandwich Generation®... a very special site. Being a Sandwich Generationer - an elder/parent caregiver - is a new role on the stage of life for which no one can ever rehearse. 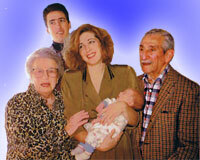 Becoming a parent to an aging parent presents extraordinary challenges. The challenges to elders are just as daunting. 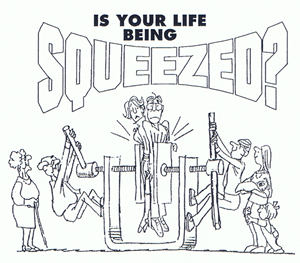 To lose control of one's life - even the little things - can be shocking and frustrating. The term "sandwich generation" today is new in society's long history of the written language. As more baby boomers become both sandwich generationers and seniors, the need to understand aging dynamics and family relationships increases dramatically. 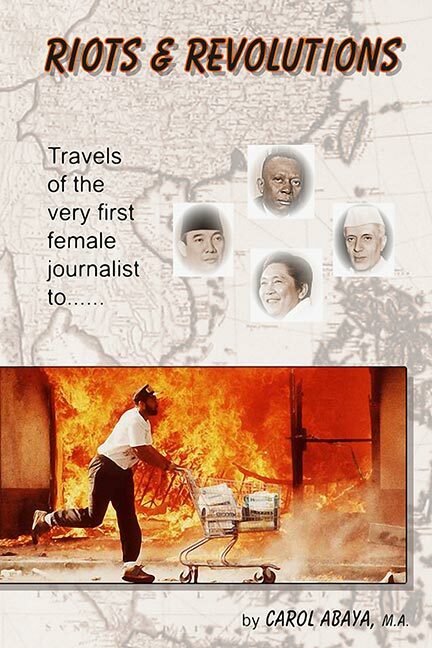 Carol's book Riots & Revolutions is her story as the very first female journalist to travel extensively and to interview heads of state one-on-one in developing countries. Her travels covered Israel, India, Indonesia, Burma, the Philippines and Liberia. This story is about her adventures and evolved from her memories, the numerous articles she wrote and that were published in newspapers and magazines around the world, and the lengthy letters she wrote to her mother and father. As Carol says, it's not easy to become elderly or a parent to your parent(s). After all, our society "says" adults should be able to take care of themselves. But, as more live well into their 80s and 90s and families are dispersed across the country, everyone is going to be involved somehow, some way, in elder care. If not today, then tomorrow. This site is dedicated to providing timely and timeless information to "Sandwich Generationers®," those sandwiched between aging parents and their own children, and covers a number of key areas, critical to elder care -- from aging in general to legal, medical and financial issues. Lectures and seminars are geared to help make the challanges of being a Sandwich Generationer® a little easier. There is no one right way or wrong way to "do" elder/parent care. Every situation and relationship is different. There is no magic wand to make a tough situation better. Click here to go to Lectures and Seminars. Click here to read about Carol Abaya.